Even though lenders may try to convince you otherwise, student loans with no cosigner are possible from a number of different lending sources. Most students do not have long credit histories. Therefore, they may be encouraged to use a cosigner with established credit. They also have low incomes, and lenders may ask for a high income cosigner on the loan. The main reason to elect a cosigner is to provide more security on the loan. The more security you can offer, the lower your interest rate will generally be. Some students simply will not have a cosigner who meets requirements willing to assist them in securing the loan. Even if you have an eligible cosigner, though, you should be wary of the consequences to your credit. 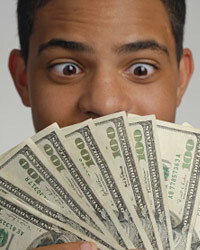 Student loans are a great way to build your credit early in life. Using a cosigner will prevent most credit benefits. The federal government offers many loan options that do not require cosigners. Most traditional lenders will offer these loans as well if you are willing to start payments early. It is also a good idea to pay more each month or opt for a slightly higher interest rate for your loans so that you can pay off them off sooner.